This recipe is SO amazing! Whenever we make it at my house, the batch gets tripled. Great texture, flavor and ingredients that support good health. Spoon into rounds on the baking sheet. You can make these thinner or thicker– experiment and find what you prefer! I made them about 1/4 inch thick for the picture here, but I usually make them a bit thicker. Add gelatinous mixture and coconut milk to small pan and heat on medium low for a few minutes until warm, stirring occasionally. If you add ground flax seeds, double the amount of coconut milk. Add sweetener and cinnamon, stir. Pour into a bowl and stir in ghee. I’ve got a great new recipe to share! Banana nut pancrepes (cross between a pancake and a crepe)! 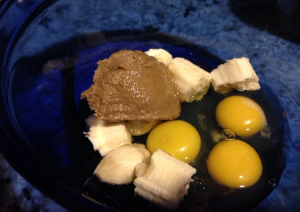 In a large bowl, use a hand mixer to thoroughly blend eggs, banana and sunflower or almond butter. Heat 1 T of coconut oil in a large skillet. 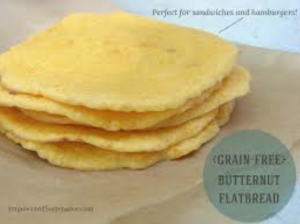 Pour palm-sized dollops of batter into pan and cook for 1-2 minutes (top side will change from shiny to matte). Flip and cook for 1-2 minutes on the other side. 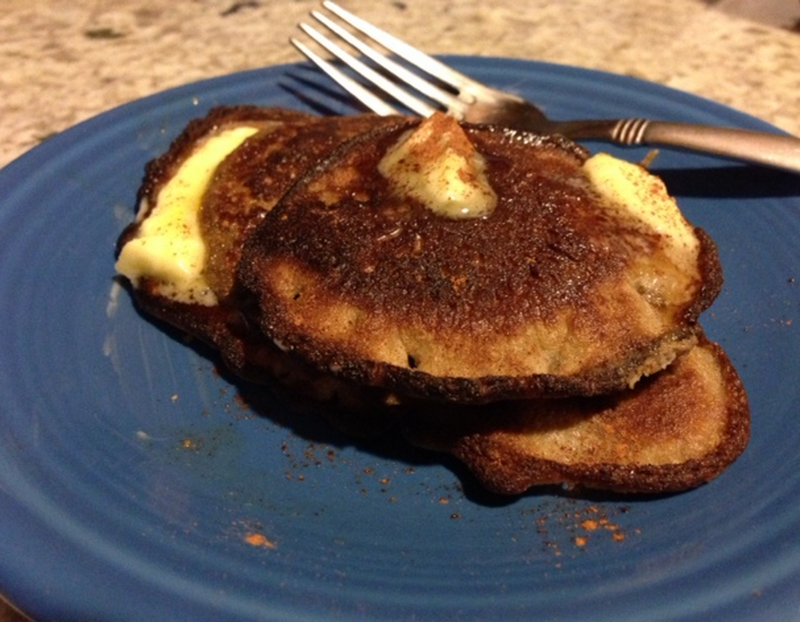 Top with butter and cinnamon and enjoy! Makes about 10 pancrepes. These pancrepes have such a great flavor to them and while they were thinner than I expected, I really enjoyed the texture. If you desire a thicker texture, try adding a small amount of coconut flour (like a teaspoon or two) or nut flour to the mix. Happy cooking!